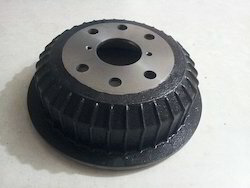 Leading Manufacturer of alfa brake drum and alfa drum from Rajkot. With the valuable assistance of skilled team of professionals, we are offering an extensive range of high quality Brake Drum Wheeler. The offered drum is manufactured with the help of superlative quality metal and ultra-modern techniques in compliance with set industry norms. Our offered drum is widely demanded in number of automobile industries as a spare part. It is strictly checked and passed by our quality controller only if found defect free.Features:Sturdy constructionSimple mountingHeat resistanceSpecifications:Item NameBrake DiscCar ModelToyotaOEM43512-60171BrandSonzeSizeStandard? ?